Are you looking for a snack that can give you an energy boost on the go but is not loaded with sugar? Then The Good Bean chickpea snacks are just what you need! You can be sure that you are not consuming GMO ingredients. You support fair trade practices. The Good Bean is fair trade certified! You offer your body lots of protein and fiber, without cholesterol, artificial ingredients, soy or gluten. The Good Bean follows GMPs. Good Manufacturing Practices. This means that their production line is closely monitored to avoid cross contact of ingredients. The Good Bean products are free of hexane. Hexane is a neurotoxic petrochemical solvent used in soy processing. Do you really want to eat that ?! 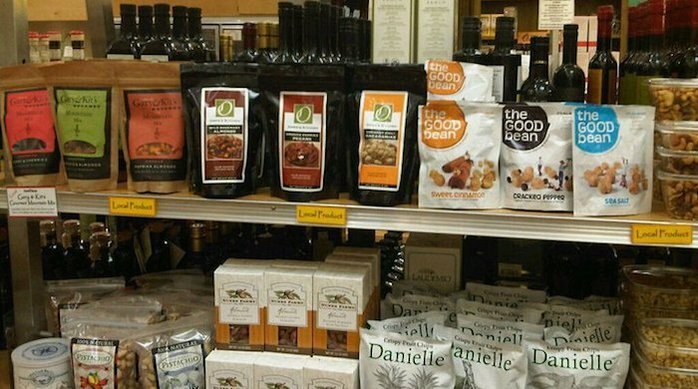 The Good Bean products are low fat and contain no saturated fat. There is just enough oil to hold the delicious spices. Stock your cupboards and office drawers with Chickpea Snacks and you will never have to worry again about getting hungry or nutrient deficient! Let other people know what it is you like about The Good Bean and why it is an ethical company worthy of checking out. Or flag a concern, if you have any.